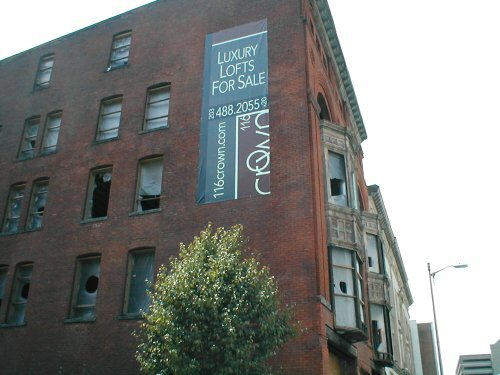 Advertisement: Luxury lofts for sale in downtown New Haven. Large, spacious windows; lots of air. Close to all amenities, including abandoned stadium, loud, tacky nightclubs, pompous art gallery, crime, and abysmal lack of street parking.